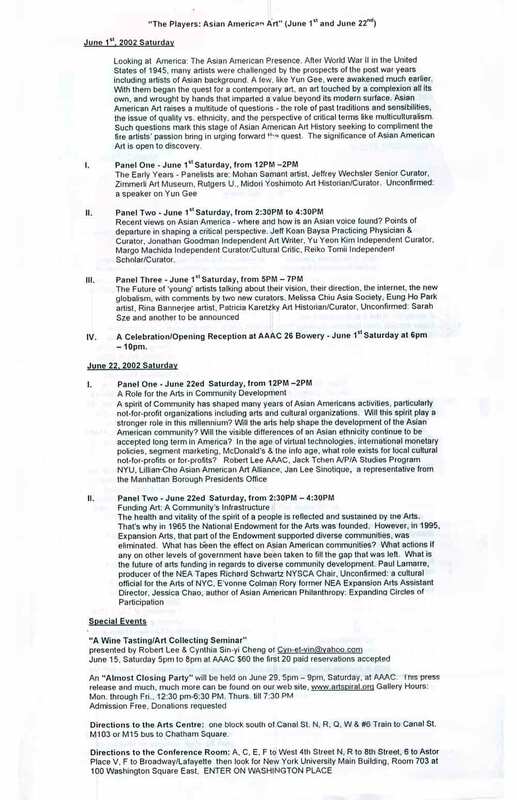 Exhibition press release for "The AAAC Story" at Asian American Arts Centre, New York City, from May 23-Jul. 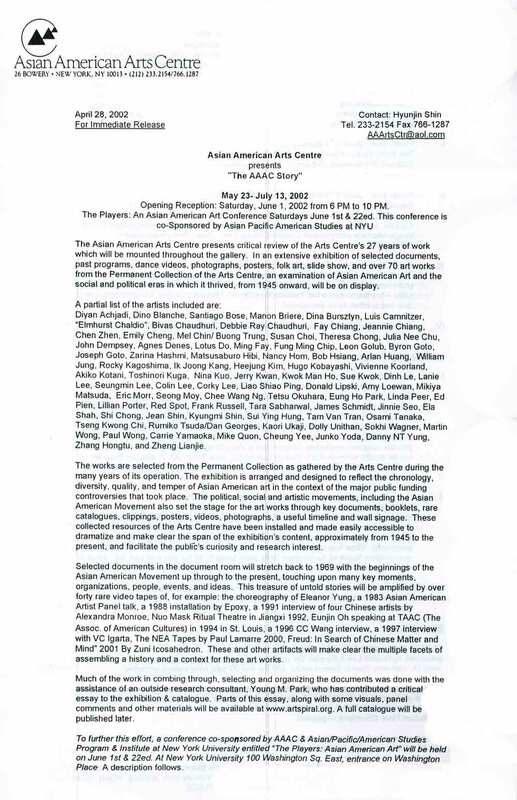 13, 2002, and the conference "The Players: Asian American Art" at New York University on Jun. 1 and Jun. 22, 2002.